We’ve covered quite a few times here on the blog just how much I hate cleaning bathrooms. I don’t mind wiping down the sink and counters but toilets and showers-no thank you! I especially hate when my shaving gel can used to leave those pesky rust rings on the shower-scrubbing the tub is not how I would like to spend my time, anyone else? 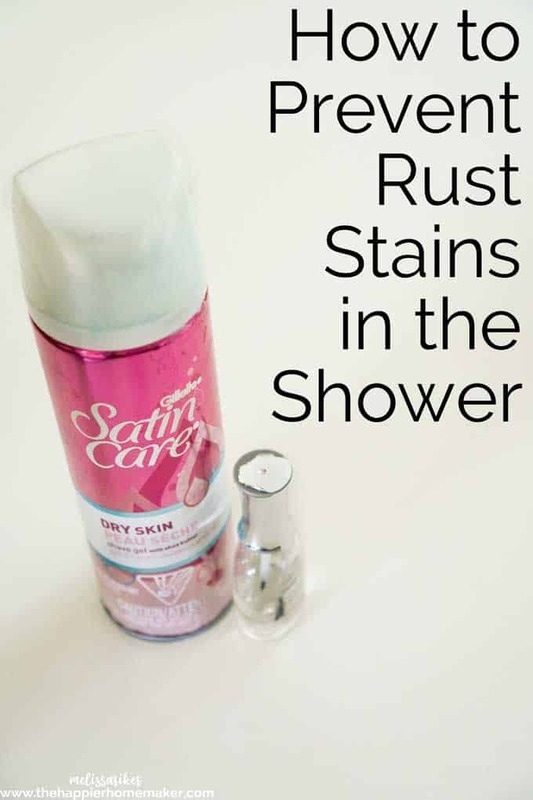 When I realized a while back that it was incredibly easy to prevent rust rings in the shower I thought the tip was almost too simple to even post about here on the blog. Then I realized that it was actually the perfect thing to post about-because if I had that annoying problem many of you would too! The solution only takes a few moments. When I buy a new can of shaving gel I simply take a moment to paint the bottom edge of the can with clear nail polish! It forms a waterproof barrier over the metal and keeps the shower rust ring free! This has worked like a dream since I started doing it after seeing it on one of those random cleaning “hack” pins on Pinterest. One quick coat lasts the entire time I’m using the can as well. 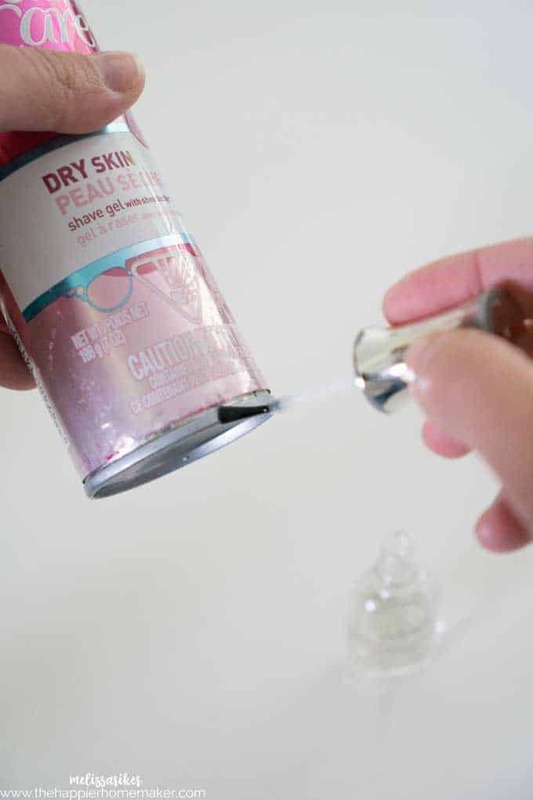 Do you struggle with rust rings from your shaving cans? Are there any other solutions you’ve tried? Let me know in the comments! Thanks for the great tip. I love seeing pictures of your new home! I use soap so no rust! !